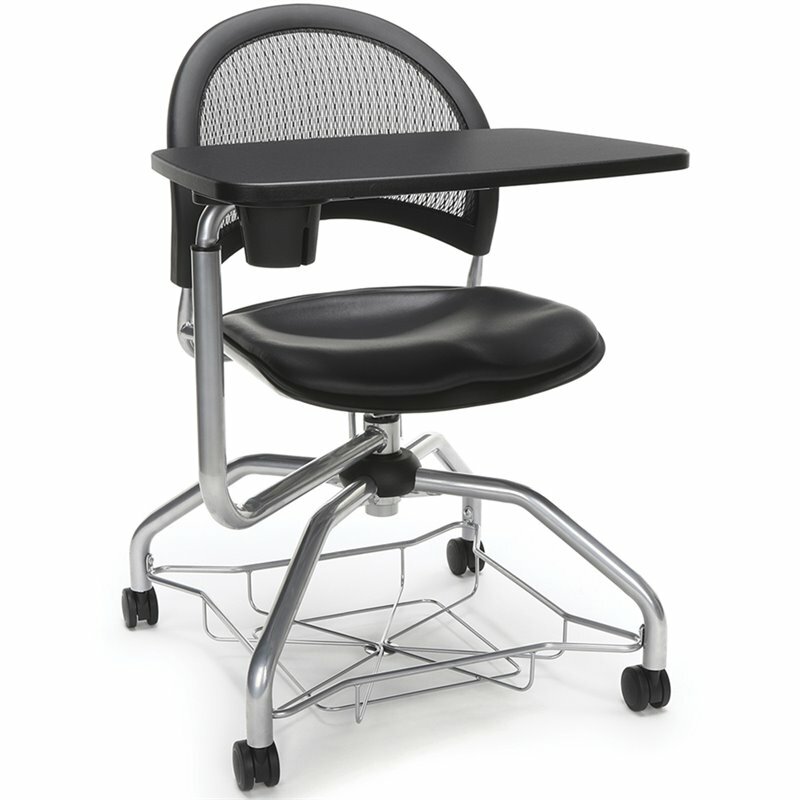 The OFM Moon Series Model 339T-VAM Foresee chair is an ideal choice for school. The stylish mesh back features a triple curve, extra thick design that provides built-in lumbar support. Adjustable tablet switches easily for left and right handed users and includes an optional cup holder. Under-seat basket for storage space plus a 360 degree swivel allow for customized comfort. The long-lasting, stain-resistant vinyl anti-microbial seat cushion is replaceable when it's time to update decor or change colors. A durable base with casters supports a steel frame with a silver powder-coated paint finish that will stand up to heavy use. This model is based on the 4C's of education - Collaboration, Communication, Creativity, and Critical Thinking. Meets or exceeds industry standards for safety and durability, and is backed by OFM's Limited Lifetime Warranty.